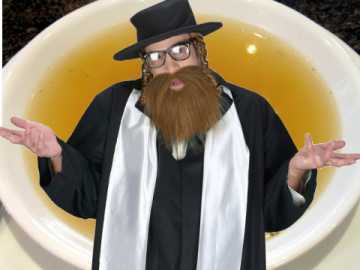 "Vere do I fress Kosher in Svinging London or Rainy Manchester?" 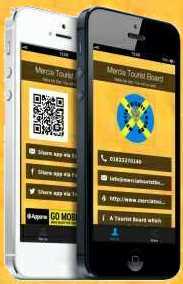 Welcome to The Wessex & Mercia Tourist Board by The UK Informed Investor. Press Control+B to Bookmark this site for later reference. Hi I'm Sammy Gee. Editor for the Mercia Tourist Board. TODAY IT IS MAINLY PEOPLE FROM BANGLADESH. THE FAMOUS BLOOMS IN WHITECHAPEL IS NOW A BURGER BAR. NO ONE KNOWS WHERE THE RUDEST WAITERS IN BRITAIN HAVE GONE! YOU HAVE TO LOOK ELSEWHERE IN LONDON FOR KOSHER RESTAURANTS- SO IF MAMA ISN'T AVAILABLE TO COOK FOR YOU......BELOW FIND A LIST OF SOME OF THE RESTAURANTS, KOSHER FOOD STORES , KOSHER RECIPES AND A SEPARATE SECTION ON THE LONDON BEIGEL. An Open Message to the leading Supermarkets: Asda, Morrisons, Sainsburys & Tesco. We are based in Taunton, Somerset. You all carry Matzos in your stores. However they are all marked " Not For Passover Use". Please could you provide Matzos for Passover use during Passover. We are pleased to say that Tesco's have replied as below- there has been no response from the others mentioned. "Thank you for your patience while I have been investigating this matter. The points raised in your e-mail have been discussed at length with our Buying Manager for this area of our business. She was equally disappointed to learn of your concerns and she has also asked me to pass on her apologies. She explained that although each of our stores had a product plan for Passover and were sent specific Passover stock, it appears that in a number of stores the non-Passover stock was not removed from sale and replaced with the appropriate stock. 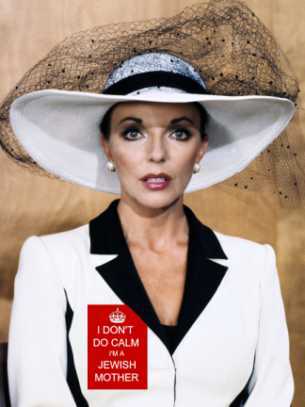 I can only apologise that more care was not taken. Our Buying Manager explained that although some of our stores had changed the stock over correctly, a number of our stores made the same mistake due to a lack of knowledge around Passover. She explained that they have already put several plans in place to prevent this from happening again next year, including sending out a brief to each of our stores in the lead up to Passover and providing more detailed instructions around stock placement. Once again, please accept my sincere apologies for the undoubted frustration that this matter has caused. I do appreciate why you were unhappy and I would like to reassure you that we will do our utmost to prevent this from happening again. Thank you for taking the time and trouble to bring this matter to the attention of our Chief Executive. EARLY AS POSSIBLE SO THAT WE CAN DO THEM FOR YOU!!!! THE kosher store. After providing the North West community with Kosher food for over 90 years, we are now pleased to bring you our home delivery service, J.A. Hyman Direct. Have a look around, we have tried to create some of the ambience of the shop (minus the shouting!) that has made Titanics an institution in the North West. Whether it is having Stanley tell you a joke, a butcher chatting you up, or Richard looking after your baby while you shop. Pages are being added all the time to make shopping online as much of an enjoyable experience as coming in and seeing us! Our checkout page is fully secured with Xramp security, which is fully authenticated and certified security system using SSL technology. So you will be able to shop with peace of mind in the knowledge that you can order from us, get fantastic value for your money and be assured that all your details will remain safe! 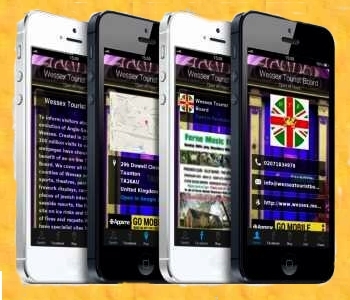 Whether you are from Golders Green, Stamford Hill, Edgware, Leeds or the Bronx chat with others interested in the contents of these pages or try & find old & New Friends. We have named the chatroom after Hugo Hackenbush the other persona of Groucho Marx. Those who don't wish to chat may remain in Harpo's room! British Jews have to fork out close to £13,000 a year to live a kosher lifestyle, according to a new study that has identified a “cost of Jewish living crisis”. Research by Treasury adviser Andrea Silberman and Ernst and Young consultant Anthony Tricot shows the huge gulf in costs associated with kosher food, property in Jewish areas, synagogue membership and faith schools between Jewish families and the UK average. In total, they found a Jewish lifestyle can have annual costs of up to £12,700 per family. Comparing prices between Jewish delis and butchers with supermarkets, the study in the Times reports kosher meat was double the cost of non-kosher meat, costing an extra £500 a year. Meanwhile families eating out pay an additional £1,500 per year as restaurants that serve kosher meals can charge up to 70 per cent more. Costly: Synagogue memberships can cost a household up to £800 per year. The study found joining a synagogue costs up to £800 per household to cover burial costs, triple the amount of cremations. Rabbis' salaries are at least twice those of vicars in London, said the researchers. It added Jewish schools charge an annual premium of up to £2,000 per child “to reflect the cost of additional religious education”. According to the study, the biggest cost for Jewish families is property where a family will pay £5,900 per year more for their home. 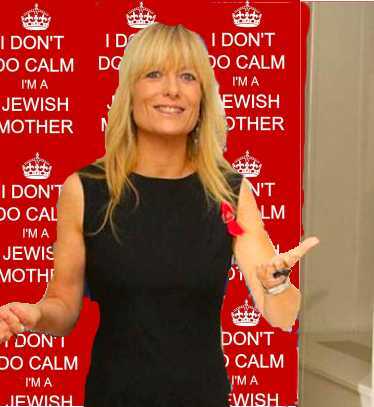 The study said: “One fifth of British Jews are concentrated in the north London borough of Barnet, where property prices are 157 per cent higher than average prices for England and Wales.” Jewish celebrations, or simchahs as they are also known, add an extra £1,100 per year. The researchers explained: “Simchahs are a further significant cost, driven by the need to “keep up with the Cohens”. The average Jewish wedding was reported this year to cost £55,000, compared to a UK average of under half that amount, while bar and batmitzvahs represent a significant additional cost that is specific to the Jewish community.” Other costs not taken into account include a £2,800 tour to Israel at the age of 16 and post-university gap years to Israel estimated to cost between £10,000 and £15,000. This group raised money for charity which included Balls at the Dorchester Hotel & Quaglinos in London, Riverboat shuffles, Film Premieres and was a member of the Younger JNF Group in the late 1950s and early 1960s. 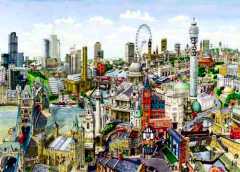 London is not just the capital of England, it also happens to be the Jewish capital, with over 200,000 members of the tribe living in the metropolis. But while London may not have as many Jewish sights and facilities as its New York cousin, it’s the quality that London Jews are proud of, not the quantity. 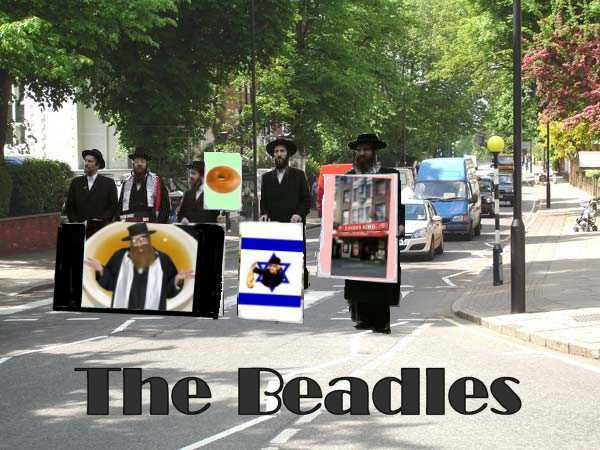 Over the years, the Jews of London have divided into two distinct groups – the North London Jews and the Essex Jews. North London Jews have built up their own clique and social life, while Essex Jews have done pretty much the same in their own territory, and neither would ever admit to visiting the other’s ‘hood. 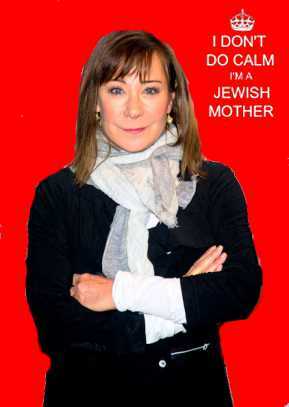 Not so much gangland warfare as invert social snobbery, with North London’s middle-class Jews poking fun at Essex’s working-class Jews, and the Jews of Essex poking fun at their North London cousins. That’s not to say there’s no wealth among the Essex Jewish community – far from it. 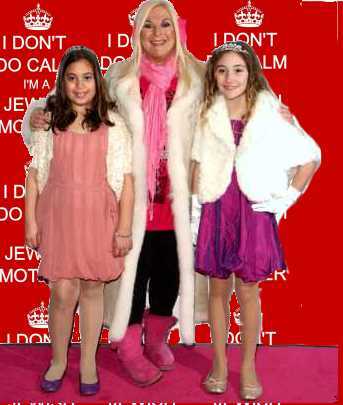 Some of Britain’s richest Jews live in the area, including electronics tycoon Alan “Amstrad” Sugar. North London Jews live in some of London’s wealthiest areas, such as Regents Park, St John’s Wood (aka St Jew’s Wood) and millionaires’ row The Bishops Avenue in East Finchley, Media tycoon and adult TV channel owner Richard Desmond has his pad here. Want to get a taste of the sights and sounds – and a few smells – of London Jewish life? Here's the essential stuff to do. Visit Golders Green and pig out. This North London landmark is home to the largest selection of kosher eateries. Whether your passion is a shwarma or KFC-style chicken, there’s something for everyone. Something happened in 1656 that was "good news" for Jews - but what was it? To understand, we must look back before Oliver Cromwell and the "Whitehall conference" of that year, the event popularly considered the turning point. In the late 13th century, the small Jewish community that existed in England became less useful to the monarch after it was hammered by successive rounds of swingeing taxation. Edward I decreed in July 1290 that all Jews should leave England by 1 November. Apart from a small number in the Domus Conversorum (House of Converts) in Chancery Lane, that is exactly what happened. A few centuries later, Jews in Europe faced a new threat from the Spanish and Portuguese Inquisitions. Jewish refugees fled the Iberian Peninsula during the 15th and 16th centuries, seeking safer realms away from religious persecution. By coincidence, in England, there was a king who found a different point of view useful. Henry VIII imported Jewish rabbinical advisors to help find a Biblical way out of his marriage to Katherine of Aragon, the first of his six wives. He also welcomed Italian Jewish musicians to his court. And from the mid 16th century onwards, Jews entered England as Spanish and Portuguese merchants. They lived a double life: practising their true faith in secret while in public attending Lutheran churches. Somehow they managed to observe feasts, fast-days and some dietary laws. Even though their Jewishness was tacit knowledge in London and Bristol, a blind eye was turned to their private religious activities. There was no Inquisition in England. In fact, Jews became a useful political tool for an English court at odds with Spain and Portugal. The throne found it was able to make good use of these exotic merchants with their overseas contacts. It is impossible to say how many such "conversos" lived in England - perhaps they numbered no more than 100 at any one time - but without a synagogue or official recognition, they did not constitute a community. In Rabbi Menasseh ben Israel, a scholar, publisher and ambassador for Jews, petitioned Oliver Cromwell in 1656, asking for his community to have the right to settle. That petition was a catalyst for change. By the time of the Whitehall conference called to decide the issue, those in favour of the Jews may have had millenarian or mercantile aspirations, while those against, cited theology and the fear of competition. The result was inconclusive - but perhaps the fact that the debate took place at all effected a change in the climate of tolerance. Crucially, the conference accepted that the1290 Edict of Expulsion applied only to Jews resident in England at that date; technically there was no barrier to resettlement. Furthermore, the renewed hostilities with Spain meant that it was safer to come out as a Jew than be taken for a Spaniard in London. And so, in December 1656 Antonio Fernandes Carvajal, the leader of a small group of settlers, acquired land for a Jewish cemetery, a public statement of existence. In 1657 his hitherto private synagogue in Creechurch Lane was extended to accommodate an influx of worshippers - and in 1659, his memorial service was attended by Samuel Peyps. Ashkenazi Jews from Germany and Poland founded their first synagogue in 1692 in Broad Street, Mitre Square. 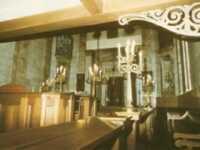 The magnificent Spanish and Portuguese Jews' synagogue in Bevis Marks, a road in the City of London, followed in 1701. Despite intermittent attempts by some clerics and city merchants to have Jews banished once more, the presence of the small community appeared secure. The small group had become a community. In the 350 years since the Whitehall conference, the relationship between the Jews and the host community has not always run smoothly. The Jew Bill of 1753, drafted to enable foreign Jews to naturalise, met with violent opposition and had to be axed. Civil rights came at a snail's pace in the 19th century - although that it is true for Catholics and dissenters too. Today, most Jews in Britain regard themselves both as integrated citizens with a rich historical and cultural background. But the fact that anti-Semitism remains alive - while more recent immigrants find themselves demonised by a bigoted minority - demonstrates that although Britain has become an increasingly multicultural society, there remains, in some quarters, an innate suspicion of difference. Nevertheless, 2006 marked 350 years during which Jews have found somewhere they could come and find their feet, whether they were fleeing Russian pogroms in the 19th century, or the Nazis in the 20th. And that is something worth celebrating. The fantacinating history of the area is detailed in, Exploring the Vanishing Jewish East End, which included an nostalgic introduction by writer, actor and director Steven Berkoff, an East End resident and son of a Stepney tailor. The two self guided walks also introduce places that have been home to, and inspired, Jewish writers, artists and entertainers such as Bud Flangan. Amongst the wealth of history, pockets of thriving contemporary Jewish life are not forgotten with one walk leading to Rinkoffs, the only remaining Jewish Bakers in the East End, where visitors can indulge in a slice of delicious cheesecake. Newly arrived Jewish immigrants had a tendency to create close-knit, distinctive communities. They wanted to live and work near to their fellow Jews, especially landsleit - people from the same original village - and within walking distance of a synagogue, ritual baths and kosher food shops. The language of the newcomers was Yiddish. Russell and Lewis's map of Jewish East London, 1900, shows street by street the density of Jewish settlement. The immigrants settled in inner city areas like the East End of London, the Leylands in Leeds, Strangeways in Manchester and the Gorbals in Glasgow. In 1880 there were around 46,000 Jews in London, but by 1900 this figure had almost trebled to 135,000, and most were living within the two square miles of the East End. 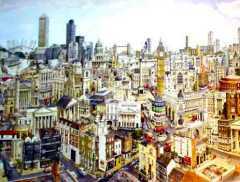 The newcomers have gradually replaced the English population in whole districts, Hanbury Street, Fashion Street, Pelham Street, and many streets and lanes and alleys have fallen before them; they have introduced new trades as well as new habits and they live and crowd together. On 25 January 1911, the London Evening Standard published the first of a series of long Catarticles on 'the alien problem'. It is its utterly alien aspect which strikes you first and foremost. For the Ghetto is a fragment of Poland torn off from Central Europe and dropped haphazard into the heart of Britain. The Jews formed their own self-contained street communities with workshops, stiebels and all-purpose stores where the men would gather on Sundays to discuss the ' rabbi's' sermon, politics and local scandal. On Fridays, the eve of Sabbath, the cloistered alleys and thoroughfares came to life as candles blazed from the front parlours of shabby one-storeyed cottages or tenements. Cramped conditions in an immigrant home. The immigrants were settling in areas already characterised by poverty and overcrowding. The flow of new arrivals only worsened the conditions of severe overcrowding, dirt and lack of sanitation. In 1884, The Lancet reported the case of a Jewish potato dealer who lived with his wife, five children and a huge pile of potatoes in one room which measured only five yards by six! But the demand for accommodation, regardless of how bad it was, kept rents high. The Jewish Board of Guardians, an organisation set up in 1859 to help the 'strange poor', tried to relieve the worst conditions. Other wealthy Jews pressed for improvements in the form of model tenement blocks. In 1885 Lord Rothschild and others formed the Four-Percent Industrial Dwellings Company, which aimed to charge fair rents and build flats that were large enough to house families in more than one room. The largest of a series of tenement blocks built by the company were the Rothschild Buildings on Flower and Dean Street, clearing an area known as 'the foulest and most dangerous in the whole metropolis'. Read about Manchester Jewry . Early morning service at a chevra. Synagogues were of prime importance in the community life of the new immigrants. The existing synagogues, with their imposing interiors and anglicised services, were not popular with the new arrivals. It was not long before a network of small synagogues, also known as stiebels or chevras, sprang up all over the East End and other areas of new Jewish settlement. The chevras were established in attics, back rooms and even former chapels. They were often named after the town or district in Russia or Poland from which their founders had emigrated, and they not only served as places of worship, but provided welfare help, study and mutual support. There were an enormous number of small synagogues in areas of dense Jewish population. Families living in the Rothschild Buildings were within walking distance of at least 15 synagogues in the neighbouring streets. The writer Israel Zangwill recognised the importance of the synagogue to the Jewish immigrant. They dropped in, mostly in their workday garments and grime, and rumbled and roared and chorused prayers with a zeal that shook the window panes, and there was never a lack of a minyan - the congregational quorum of ten. In 1887, Sir Samuel Montagu, the Whitechapel MP, founded the Federation of Synagogues, which incorporated most of the East End chevras. By 1900, the Federation's membership was larger than the United Synagogue, which represented the synagogues of the existing Anglo-Jewish establishment. Before attending synagogue on a Friday night, many men visited a bath-house. A local East End landmark was Schewzik's Vapour Baths in Brick Lane, offering the 'Best Massage in London: Invaluable relief for Rheumatism, Gout, Sciatica, Neuritis, Lumbago and Allied Complaints. Keep fit and well by regular visits'! 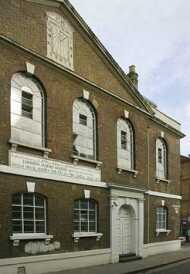 Reverend Schewzik, the manager of the baths, also conducted Holy Day services at the Great Assembly Hall in Mile End. A bagel seller on Petticoat Lane. In the areas where Jews were concentrated, the community became almost entirely self-sufficient. 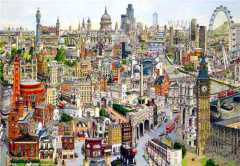 In the East End, for example, the streets were thronged with Jewish shoppers, housewives, and children running errands. Everything they needed was available from the thriving street market centred round Petticoat Lane or the many small grocery shops selling pickled herring, smoked salmon and onion bread, which were often open till midnight. Nearly all the shopkeepers and stallholders were Jewish. There was even a herd of cows just off the Whitechapel Road that supplied kosher milk. Kosher wine and grocery labels. 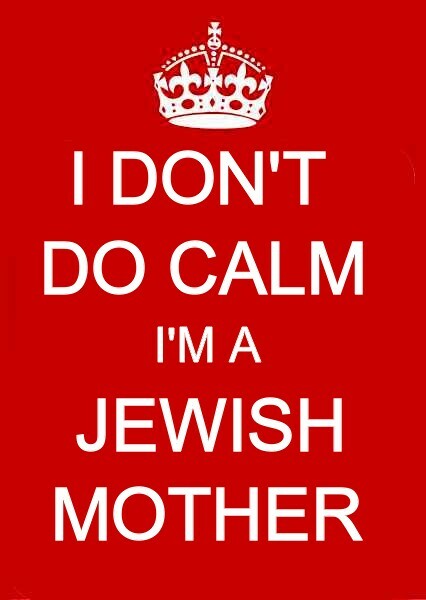 The established Jewish community frowned on the use of Yiddish and encouraged the use of English as much as possible. From the late-1890s, the Pavilion Theatre in Whitechapel Road showed Yiddish language plays, and Yiddish theatre was its principal attraction from 1906 until its closure in 1935. Residents at Nightingale House, a home for elderly Jews in Wandsworth. During the 19th century, many charities were set up for the welfare of the community. The Jewish Board of Guardians, founded in 1859, provided help for those who had been in the country for over six months, prompted by both humanitarian motives and a reluctance to see Jews becoming a burden on the state. The immigrants also wanted to look after each other in times of trouble, and set up charities such as the Russian Jews Benevolent Society in Manchester. Hundreds of friendly societies, often associated with individual synagogues, were also established, as were homes for the aged, orphanages, and day nurseries. A Jewish hospital movement led to the opening of the Manchester Victoria Memorial Jewish Hospital in 1904, and eventually the London Jewish Hospital in 1921. The problem of overcrowding began to improve in the early 20th century as Jewish families started to move away from the East End. The first step up the ladder was to adjacent areas like Hackney, Dalston and Islington, and then to the more suburban areas, such as Golders Green, Hendon, Cricklewood and Ilford that opened up with the expansion of the underground railway. As Jews moved into these areas, synagogues were founded, and the structure of a Jewish community became established. Outside London, the settlement of Jewish families followed a similar pattern, with movement away from the inner cities into more desirable areas like Cheetham Hill in Manchester or Chapeltown in Leeds. Refugees outside Swiss Cottage station, London. The refugees soon began to cluster in particular areas, principally along the Finchley Road in North-West London, rather than the East End in which earlier generations of new arrivals had been concentrated. Many found homes in other cities like Manchester and Leeds. The new settlers had the support of immigrants from similar backgrounds, and organisations such as the Association of Jewish Refugees, founded in 1941, to help them settle in to their new life. They would be joined after the war by refugees scattered by evacuation, internment and war service, and in their turn helped them to settle in. With its émigré clubs and coffee houses, the Finchley Road area took on a Jewish character of its own, and bus conductors would call out 'Passports please' or 'Finchleystrasse' as the buses stopped there! As Jews became more integrated into English society, they left behind the distinctive Eastern European flavour of their first areas of settlement. Today, there are very few Jewish people left in those parts, which have taken on a new character as immigrants from other parts of the world have moved in. The external Spitalfields and Whitechapel area of London, for example, is now home to a thriving Bangladeshi community, and what were once synagogues have been turned into mosques. Established in 1948 by Harry Morgan, a local butcher, this once tiny takeaway deli is now the largest and most famous New York Style Deli Restaurant in London.With branches in St Johns Wood, the West End & Knightsbridge, Harry Morgan has built up a reputation for being the only place to go for freshly made deli sandwiches and salads. Harry Morgan was voted ‘The Best Chicken Soup in London’ by the Sunday Times and also nominated two years running (2004 & 2005) in the Evening Standard Restaurant Awards for the top 5 best value restaurants in London. As its reputation has grown, Harry Morgan has almost become as well known for its celebrity clientele as for its renowned deli style foods. 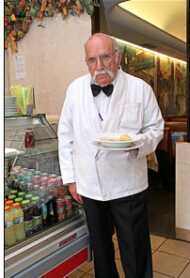 PANZER'S IS A FAMILY RUN DELI IN ST. JOHN'S WOOD, LONDON ESTABLISHED FOR OVER 50 YEARS. We have a huge selection of over 5,000 lines, from all over the world. A delicious Deli-Counter with hand-sliced Smoked Salmon, nurtured Cheeses, Charcuterie, Home-Made Salads and Caviar. There is a wide selection of Kosher Foods. New to the cheese scene are kosher cheeses from Royal George, the most established and largest producer of kosher cheeses in the UK. Made in a family dairy, the cheeses are certified by the Orthodox Union, providing your guarantee of quality and authenticity. They offer 3 classic British cheeses: cheddar, Double Gloucester and Red Leicester. Call them for your nearest stockist. Dorset Cereals Ltd is a family owned company based in Dorchester that was established in 1989. They are currently the only company in the UK specialising exclusively in the manufacture of muesli. All of their products are suitable for vegetarians and vegans, kosher certified, GMO free and have no added sugar or salt. Super High Fibre Cereal contains toasted, malted wheatflakes, black raisins, toasted oatflakes, dates, coconut, sunflower seeds, chopped apricots and roasted hazelnuts. Luxury Muesli is packed with black raisins, toasted wheatflakes, barleyflakes, apricots, pineapple, dates, brazil nuts and almonds. Available at good food stores. Birmingham, in the English Midlands, is the second largest city in England, with a population of approximately one million. In the vicinity of Birmingham are a number of towns whose Jewish communities have looked to the Birmingham community for support or shares facilities, including Walsall immediately to Birmingham's northwest and Solihull immediately to Birmingham's southeast. Until 1974, Birmingham, Solihull and Walsall were county boroughs, the first two in the county of Warwickshire and Walsall in the county of Staffordshire. Each then became metropolitan boroughs within the newly created metropolitan county of West Midlands (the areas of Solihull and Walsall being increased at the time by the incorporation of adjoining areas). These metropolitan boroughs became unitary authorities in 1986, when West Midlands lost its administrative county status, becoming purely a ceremonial and geographical county. Solihull had been an urban district until 1964, when it received county borough status. 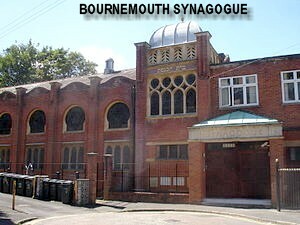 The Bournemouth Jewish community dates back to about 1905, and is one of the larger communities in the UK, partly due to its appeal as a retirement resort. The town was also very popular as a Jewish holiday resort and, at one time, boasted quite a number of kosher hotels, of which only one or two remain. A number of Jews also now live in Poole, which forms single conurbation with Bournemouth. The Jewish Bournemouth District Jewish Representation Council covers a somewhat wider area including Southampton.Bournemouth Jewish hotels consigned to history as Normandie battles on BOURNEMOUTH Jewish hotels from the 1940s to the end of the 70s represented the ultimate in luxury and facilities.They offered all-inclusive packages, including top entertainment, full board, afternoon tea and evening tea. Shabbat kiddushim were a highlight in themselves. The hotels boasted first class facilities, including swimming pools. Many holiday romances developed into lifetime partnerships. Holidays in Bournemouth were as much the province of the rich and famous as of those with less wealth. The only survivor of the heyday of Jewish hotels is the Normandie which will open only for group bookings after the yomtov period. The great Bournemouth kosher hotel names included the most luxurious of them all, the Green Park, owned by the Marriott and Richman families, the Majestic, run by the legendary Fay Shnyder, the Cumberland, operated by the Felds, the Ambassador, the Langham, East Cliff Manor and East Cliff Court. Until the last couple of decades the Normandie had never been under kashrut supervision, relying on its on-site ministers, among them Rev H Fenigstein and Rev G Phillips, formerly of Liverpool. But its kashrut was unquestioned and many strictly observant Jews stayed there. There was a period in the early 1980s when the Normandie actually became a non-kosher establishment but in recent years it has enjoyed kedassia supervision.In the 1950s the Normandie was owned by the Myers family, subsequently by Mr and Mrs Gershon Lee and then by their daughter Belle Keyne and her husband Lou. The Keynes, who lived on site, eventually joined forces with Mr and Mrs Ron Fisher. Jonathan Keyne recalled: "My parents bought the hotel when I was about nine or 10 and I lived there until I was 18. "It was a very different kind of upbringing because every couple of weeks there would be new groups coming in and that affected the way you interact with other people. "From my point of view, it had a fantastic garden, a putting green and a swimming pool. I knew nothing different at that age so I just got used to it. "We used to have our meals in the dining room with everyone else, so it was nice to get away from the crowds and have meals on our own. "My parents were also on call all the time, which I never thought of as a problem but it did make it harder to get away. "Therefore, my parents made an extra effort, especially at weekends, to go somewhere else. "My mother was quite an icon in the hotel as she was very good at looking after the guests. "I'm sure she would have been a major memory of the hotel to anyone who stayed at that time. "We also had a golden retriever called Simon who all the kids used to love to play with. "But ever since my parents sold the hotel, I had no feelings for it." Jonathan's brother Simon also has happy memories of the Normandie. "It was an interesting life living in the hotel. I moved there just after my barmitzvah in about 1958 during the heyday of the Jewish hotels and it was a very buzzy place," he recalled. "There were so many thriving hotels and the youngsters used to go from one to another. In those days, there were very high standards in the Normandie and there was a lovely garden and lovely food. "In fact, I remember there being masses of food and the Shabbat kiddushes were very popular - if you were young, you'd get crushed in the stampede for the kiddush. "At certain times of the year it used to get very busy and the same people used to come each year with their families. They used to book their next trip before they left. "The staff were very loyal and the hotel was well run by my parents. "Every year there were cricket and football matches, and we also used to play putting, table tennis, and go swimming. "When it was a good summer, it was the best place in the world. "We also had the most gorgeous dog called Simon - I was Simon Two-Legs and he was Simon Four-Legs. "It was a privilege to be by the sea and, although it's still a nice town, it's not what it used to be." Rabbi Dr Jonathan Romain, today minister of Maidenhead Synagogue, was a regular guest during his childhood. "I very much regret the demise of Jewish hotels," he said. "The Normandie was a wonderful institution and attracted Jews from all over the country. It was a wonderful meeting point and I have lots of fond memories there. "I went there for many, many years on family holidays and always used to see the same regular visitors each year. Lou and Bella Keyne, the owners, became like family. "There was a real haimishe atmosphere, kosher facilities and great Jewish social opportunities. "On Shabbat morning, the kiddushes were always lavish and overflowing and the tables sagged under the weight of all the food put out. "There used to be five kosher hotels in Bournemouth that catered for the middle-of-the-road community, but the Normandie was the only one to survive as more Jews started to go abroad on holidays and demand decreased. "It is a sad occasion that it is now closing and it reflects the changing passions of British Jewry." Brian Lassman was involved with the kosher hotel industry for 25 years - 18 with the Ambassador and seven with the Normandie. He recalled: "When I started in 1969, Bournemouth was the Jewish family holiday destination where people stayed for a week or longer and the children had a fantastic time. "They used to come because they could eat so much and not have to worry about the food being kosher." Mr Lassman added that during his time as manager, "the Normandie was a different type of Jewish hotel in that it was more religious. "More religious people used to like bringing their children as the hotel provides a safe environment with its two acres of gardens. "Separate entertainment for men and women was also provided. "As the years went on and other places became cheaper to go to, the hotels started to decline, although people still came for short breaks and weekends. "In the end, though, it became very difficult economically to run, which is why it is closing now." Mr Lassman added: "It's really sad that there are no kosher hotels left, firstly because I worked in that industry, but secondly because the hotels used to attract families to the area. 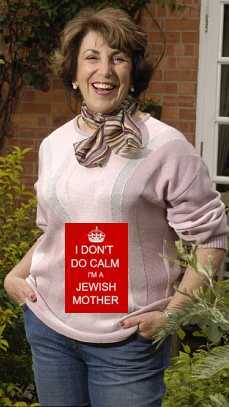 "Bournemouth is a lovely environment and I'm concerned that the Jewish community in Bournemouth will suffer." Another veteran of the Bournemouth hotel industry, Geoffrey Feld, recalled that the Ambassador Hotel was the first of the large Jewish hotels when it opened in 1935.It later became the New Ambassador. At one time he owned the Ambassador and the Majestic. "After the war people started to think about family holidays, that was the backbone of the Jewish hotel business," he said. "The family's first choice was sun, sea and sand to get away from the grime and soot of the big cities. "Jewish people love to eat and the hotels gave superb service. It was the golden age of British holidaymaking. "Bournemouth really was the place for Jewish families to go to on holiday back then," he reminisced. "There were eight big Jewish hotels in total. "Between them, they could accommodate more than 1,000 people. "Each hotel tried to out-do each other - it was very competitive. "My parents bought the Cumberland in 1949, although I lived in a house nearby. I met a lot of people in the hotel and had a great social life. "Many shidduchim were arranged there and I even met my wife-to-be, Susan, in the bar at the Cumberland. Indeed, many people who I meet today tell me they either met their partners there, or had a honeymoon or anniversary there. "From after World War II to the 1980s, it was a major part of Anglo-Jewry, especially when it came to the yomim tovim and even the non-Jewish holidays. "It is a shame the Normandie is now closing, but it's a question of supply and demand. "But it does mean the people coming to visit really don't have anywhere to go for a kosher meal or to stay in a kosher establishment." Mancunian Martin Mann, organiser for nearly 20 years of the annual Esther Rosen trips to the Normandie, recalled: "I used to go to the Green Park Hotel, but when that closed the Normandie was the only Jewish kosher hotel left open. "The highlight of the trip was always the wonderful Shabbat kiddush. "I'm very upset it's closing because it's the last kosher hotel in the country. It is a sad state of affairs that, with so many Jewish people in the country, we don't have a single kosher hotel." The Sussex seaside resort of Brighton (originally known as Brightelstone) and adjoining Hove to its west, on England's south coast, have a population of nearly 250,000. Until 1974, Brighton was a county borough and Hove a the municipal borough in the county of East Sussex. They were then united to form the district of Brighton & Hove in the county of East Sussex. In 1997, Brighton & Hove became a unitary authority. and in 2000 it was granted city status. Brighton & Hove has the fifth largest Jewish community in the United Kingdom, and there exists a Brighton & Hove Jewish Representative Council. There were Jewish residents in Brighton from the second half of the 1700's, the earliest Synagogue (in Jew Street) having been established in 1792. Bristol, the major city of the West of England with a population of about 400,000, is situated near the eastern end of the Bristol Channel and has a short coast line along the southern coast of the channel, facing Wales. Bristol is unique in having been a city with county status since medieval times (it was named a county borough when the term was created in 1889), with only a short break, from 1974 to 1996, when it became a local government district of the short-lived county of Avon. It regained its independence and county status in 1996, when the county of Avon was abolished and Bristol became a unitary authority.Bristol has had a Jewish presence since at least the 1750's and before that that had been an important Jewish community there in medieval times. Cardiff (in Welsh - Caerdydd), a unitary authority, is the largest city and capital of Wales, with a population of about 300,000. From 1974 to 1996, it formed the district of Cardiff in the county of South Glamorgan and, prior thereto, it was a county borough in the old county of Glamorganshire. It lies on the Bristol Channel at the mouth of the river Taff. Edinburgh is the capital and second largest city in Scotland. It is situated on the east coast of Scotland's central lowlands on the south shore of the Firth of Forth. Since 1996, the City of Edinburgh, including surrounding villages, has constituted a self-contained unitary local authority, with a population of about 450,000, and from 1975 to 1996 it formed a district of the now defunct Lothian Region. Prior to 1975, Edinburgh was in the traditional county of Midlothian. Although Leith, the port of Edinburgh, had historically been a separate burgh, it has been administered as part of Edinburgh since 1920. Glasgow, situated on the river Clyde, in Scotland's west central lowlands, is the largest city in Scotland. Although the City of Glasgow, a self-contained unitary local authority since 1996, has a population of about 630,000, there are approximately 2,100,000 people living in the Greater Glasgow area (which also includes East Dunbartonshire, West Dunbartonshire, most of East Renfrewshire and part of South Lanarkshire). From 1975 to 1996, the City of Glasgow and the other areas mentioned were districts of the now defunct Strathclyde Region. Prior to 1975, Glasgow was in the traditional county of Lanarkshire. The present boundaries of the officially-named City of Leeds metropolitan borough, in Northern England, date from 1974, when the county borough of Leeds was merged with a number of other localities from West Riding of Yorkshire to form the metropolitan district (later borough) within the then new metropolitan county of West Yorkshire. Leeds became a unitary authority in 1986 when West Yorkshire lost its administrative status, becoming purely a ceremonial county. The Leeds Jewish community is the second largest provincial community in Britain (exceeded only by Manchester), currently numbering over 8,000 (out of a total population of approximately for 430,000 for Leeds itself and 730,000 for the whole metropolitan borough). The community only really became established in 1840, much later than many other communities. By the 1870's, most of the community lived in, or close to, the very poor Leylands district, which was almost a Jewish ghetto. The Jews gradually moved to the north, partly as a result of slum clearance schemes which started in 1907 and very few were left in Leylands by the late 1930's. 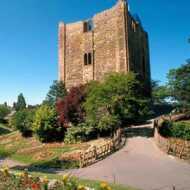 They initially settled in the Chapeltown district, and from the 1950's, moved further north to the vicinity of Moortown and the Ring Road (Alwoodley). 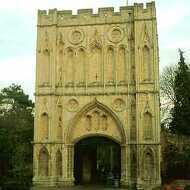 The historic city of Leicester, in the English East Midlands, lies on the river Soar. The city has a population of about 280,000, although there are over 330,000 people living in the greater Leicester urban area. 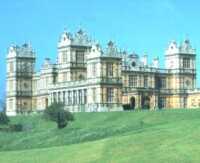 It was a county borough until 1974, when it became a district of the administrative county of Leicestershire. In 1996, the city of Leicester became a unitary authority.The first records of the modern Jewish community date from 1861, although there had been a community in medieval times. Liverpool, with a population of about 440,000 is major city and port lying on northeast bank of the river Mersey estuary in Northwest England. Historically in the county of Lancashire, it was a county borough from 1888 until 1974, when it became metropolitan district within the then newly formed metropolitan county of Merseyside. Liverpool became a unitary authority in 1986 when Merseyside lost its administrative status, becoming purely a ceremonial county.Adjoining Liverpool are a number of other metropolitan boroughs within Merseyside, including Knowsley, formed in 1974 by the merger of the Huyton-with-Roby Urban District Council and several local authorities. Details of any Knowsley congregations are included in the list below. For other communities in, or closely connected with, Merseyside, see under Sefton (for Bootle, Crosby and Southport), Wirral (for Birkenhead, Hoylake and Wallasey) and Widnes (for Widnes in Halton). The earliest organized Jewish community in Liverpool was in about 1740, of Sephardi Jews, probably connected to the small Sephardi community that had been established in Dublin. This community did not survive and a new Ashkenazi was founded in about 1780, although little is known of its early history. Greater Manchester, a metropolitan county established in 1974 in North West England, covers the City of Manchester and surrounding areas. In comprises ten metropolitan boroughs, namely the City of Manchester, the City of Salford, Bolton, Bury, Oldham, Rochdale, Stockport, Tameside, Trafford and Wigan. In 1986, Greater Manchester lost its administrative powers becoming purely a ceremonial county. Accordingly, each of the metropolitan boroughs effectively became unitary authorities. The metropolitan county includes certain localities, such as Salford and Trafford that form a single conurbation along with Manchester, while others, such as Bolton, Rochdale and Wigan, are separate towns. Ashers 5 Kings Road, Prestwich, Manchester M25. Tel: 0871 207 6930. Next door to JS (next) and one of only two legitimate Kosher restaurants in Manchester (surprisingly), Ashers offer a modest and inexpensive meat-free menu menu. It does, however, have salmon and fish on the menu so it's not completely vegetarian, though vegetarians would feel quite comfortable dining here. JS Kosher Restaurant 7-9 Kings Road, Prestwich, Manchester M25 0LE. Tel: 0161-798 7776 or 0871 207 6979. 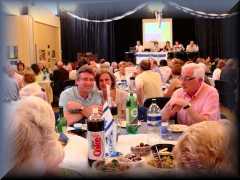 Kosher Antonio's Restaurant Jewish Cultural & Leisure Centre, Bury Old Road, Salford M7. Tel: 0161-795 1400 or 0871 207 6974. Newcastle upon Tyne, with a population of about 260,000 is the principal city of North East of England, lying on north bank of the river Tyne a few miles inland from the North Sea coast. The present boundaries date from 1974, when the metropolitan borough of Newcastle upon Tyne was formed, within the then new metropolitan county of Tyne and Wear. Newcastle became a unitary authority in 1986 when Tyne and Wear lost its administrative status, becoming purely a ceremonial county. Until 1974, Newcastle was a county borough and part of the county of Northumberland. There was a small medieval Jewish community in Newcastle. 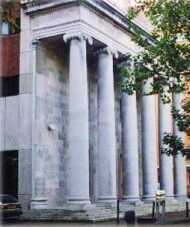 The modern community is believed to date from 1775, the first synagogue being founded in about 1837. The modern Jewish community was founded in the early 1800's, although there had been a community in medieval times. 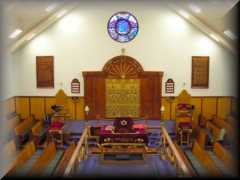 In 1986, the closure of the synagogue in Derby increased membership of Nottingham's synagogues. The city of Sheffield, which has a population of over half a million, forms the core of the Metropolitan Borough of Sheffield, in Northern England. The present boundaries date from 1974, when the metropolitan district of Sheffield was formed within the then new metropolitan county of South Yorkshire. Sheffield became a unitary authority in 1986 when South Yorkshire lost its administrative status, becoming purely a ceremonial county. Until 1974, Sheffield was a county borough and part of the West Riding of Yorkshire. We have applied to Morrison's, Sainsbury's, Tesco and Waitrose to send us a list of the branches where there are Kosher Counters. Sainsbury's say " There are 85 kosher counters in Sainsbury's stores across the country. " 17 Edgwarebury Lane, Edgware. Tel: 0208 958 3444. 7-9 Russell Parade, London NW11 9NN Tel: 0208 455 1429 email: koshking@aol.com. 56 The Market Place, Hampstead Garden, London, NW11 6JP. Tel: 0208 458 1878. 15 Russell Parade, Golders Green Road, London NW11 9NN. Tel: 0208 201 8629. Comments: Located in the Jewish area of London. Serving Kosher Breakfast. About.com: Jewish Recipes - Includes Jewish recipes for traditional holidays including Passover Seder, Hanukkah, Matzah, and vegetarian recipes. Classic Jewish-Food Recipe Archives - Search for recipes submitted from around the world. 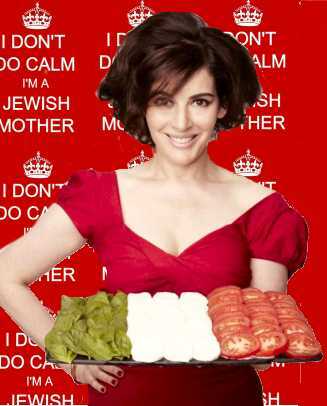 From the mailing list jewish-food. Epicurious: Jewish Recipes - Offers Jewish recipes for everyday cooking including appetizers, soups, snacks, and desserts. Jewish Food Mailing List Archive, The - Wide array of hamische daily, Shabbat, and other holiday recipes submitted by list members from around the world. Jewish� Recipes - Features Jewish and kosher recipes including kugel, matzah, challah, and more. Kosher Express Kitchen - Recipes and resources for kosher Jewish cooking. Pesto - All kinds of recipes in Hebrew. RFCJ Recipe Archives - Jewish recipes including appetizers, bread, drinks, vegetarian and non-vegetarian, and desserts. From the rec.food.cuisine.jewish newsgroup. Ruth's Kitchen - Recipes for Sabbath and holidays including vegetarian and Passover dishes. The following recipes are taken from Jewish Vegetarian Cooking by Rose Friedman, available from the JVS from £6.99 plus postage and packing. Taking care to use only 'Supervised for Passover' ingredients during Passover. 1 large ripe tomato, skinned and chopped; 2 carrots, grated /shredded; 1 small onion, chopped;1 leek, chopped; 2 sticks celery/celery stalks, chopped;1 small parsnip, chopped;1 potato, chopped; 6-8 cups water; 2 tbsp chopped fresh parsley; sea salt and freshly ground black pepper;1 vegetable stock/bouillon cube (optional);1 tbsp tomato puree/paste. Simmer the vegetables gently in the water for approximately 1-1'/z hours or until the vegetables are soft. Add the parsley season to taste with sea salt and freshly ground black pepper. Add the cube at this point if using. 1/2 lb (225g) fresh or frozen spinach; 2 medium onions, grated/ shredded or chopped; 1 small green pepper, deseeded and chopped; 1 clove garlic, crushed/minced; vegetable oil, for frying;1 stick celery/celery stalk chopped; 3-4 medium carrots, grated/shredded; sea salt and freshly ground black pepper; pinch ground ginger;1 tbsp tomato puree/paste; 2 oz (55g) ground mixed nuts; 2 oz (55g) matzo meal; 3 fl oz (90ml) vegetable stock. Wash the spinach well, cook it in a little water and then chop it finely. (Cook frozen spinach until soft.) Sauté the onion, green pepper and garlic in a little oil until they have softened. Pre-heat the oven to 350oF/180oC/gas mark 4. Add the celery and carrot and cook for about 10 minutes, stirring frequently. Mix all the vegetables together, season to taste with sea salt and freshly ground black pepper, add the ginger, tomato puree, nuts and the matzo meal, mixing all the ingredients together well. Spoon the mixture into a greased ovenproof casserole dish and pour the hot stock over. Bake in the preheated oven for about 30 minutes until the top has browned. Mix fish, hard-boiled eggs, onion, seasoning and raw egg. If necessary add ½ eggshell of cold water. Taste and adjust seasoning. Fill a large pan 1/3 full of water, a little salt and ½ a teaspoon of pepper. Add carrots, onion, celery and sugar then bring the water to the boil. Make balls of the fish and drop into boiling water. Simmer for about 2-2½ hours then leave to cool in the pan. Pour the stock over the fish balls in another dish before serving. Garnish with the infamous carrot hat! Fry the liver until it is lightly cooked, then allow it to cool. Hard-boil the eggs. Chop the onions then fry until browned. Mince the liver and the eggs together. Add salt and pepper to taste. There's more to lockshen than the noodles that swim around in your chicken soup. The proof is in the pudding! If using box of noodles boil until soft, 15 minutes, and then leave to cool. Mix all ingredients with the noodles leaving some butter to melt in the bottom of the dish. Bake in oven gas mark 4, 350°F for about 30-40 minutes. Can be served hot or cold. The Big Cheese - add strawberries, blueberries, raisins or even chocolate. Alternatively, keep it totally traditional. Grease a baking tin and line base with short crust pastry, sponge cake or Digestive biscuits crumbs. Beat eggs and sugar until very thick and creamy. In another bowl beat the cheese, flour, salt, lemon juice and cream thoroughly. Add the contents of both bowls and beat together. Pour mixture on top of base in tin and bake, gas mark 4, 350°F. The cake will rise like a soufflé. Turn off the heat and leave in oven for 20 minutes with the door slightly open. Sushi, shmushi! If it's raw fish you fancy, try out Ethel's totally traditional recipe for chopped herring. Finely chop one egg and set it aside. Place the remaining ingredients in a food processor until all ingredients are chopped. Spoon into serving bowl and sprinkle remaining chopped egg on top. Before the art of making light Sephardic Tradional Matza Balls is completely overtaken by the heavy Ashkenazi Kneidlach dumpling I want to pass on my grandmother's Matzo Ball recipe. Believe me once eaten always made. Chop onion very finely. Fry in chicken fat. Crush the matzos very finely. Add a small amount of boiling water and stir into a dry paste. Add one beaten egg, salt & pepper. Mix ingredients together. Leave to stand until cool. Roll the mixture into balls by hand coated in fine matzo meal. Add to chicken soup. When balls rise to surface of the soup boil for ten minutes. Mixture makes 8/9 matzo balls. In 1873 Ascott, together with 90 acres of land, was bought by Baron Mayer de Rothschild whose seat was at Mentmore, three miles away. 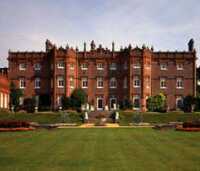 The following year Leopold de Rothschild took over Ascott as a hunting box. During the following years the house was transformed and enlarged to form a family home. From 1941-1947 a group of Chelsea Pensioners lived at Ascott after the Royal Hospital, Chelsea was bombed.In 1949 the Ascott Collection, together with the House, its grounds of 261 acres and an endowment were given to the National Trust by Anthony de Rothschild. When it opened in September 1995, it was Britain's first dedicated Holocaust Memorial and Education Centre. It was called Beth Shalom, the place of peace. It soon became a place of education, a place of memory, a place of testimony, a place of art, a place of academia, and much more besides. The Centre was created in the grounds of a former farmhouse, in the village of Laxton on the edge of Sherwood Forest in North Nottinghamshire. The surrounding countryside provides a peaceful setting and the Centre itself is set in two acres of beautiful landscaped gardens. 8 Jan-30 Nov, Wed-Sun, 0900-1700.
built in 1701 and modeled after the Portuguese Synagogue in Amsterdam. Built inside a courtyard, at a time when synagogues were not permitted on public streets, it is open for visits and special occasions. Even though recently restored, the interior has barely changed since it was built. It is in the style of many Nonconformist chapels of the period. 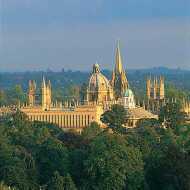 The influence of Sir Christopher wren is also evident. 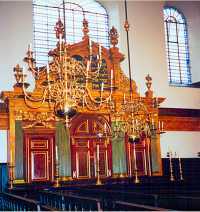 Bevis Marks is the "cathedral synagogue of the Sephardim Jews not just in the UK but throughout many parts of the world. In 2001 it was 300 years old.If you view the famous Sephardim names on the wall, Henriques, Mocatta, Sebag-Montfiore, Palache & Musaphia they are alson on the wall of the Amsterdam Synagogue. The congregation formed in 1905 ] It built its present building in 1911. Albert Samuel, brother of Herbert Samuel laid the cornerstone. The curvaceous roof line and window shape reveal what would have been a very contemporary Art Nouveau take on the Moorish Revival style that was extremely popular for synagogues. The squat tower with its square dome and "attractive interlocking window arcade" mark the original entrance. The Horseshoe arched windows to the left are also part of the original facade. The new entrance, to the right of the tower, and barrel-vaulted interior with a ladies' gallery is the result of a 1957-62 expansion. The Torah Ark, also dating from the 1960s, is a mosaic design by craftsmen form Florence intended to echo the Temple of Solomon by featuring the Biblical columns Boaz and Jachin. 1897 - Machzike Adass or Spitalfields Great Synagogue: This was an Independent Orthodox, later Federation Synagogue which had schoolrooms on the roof. There had been an influx of Yiddish-speaking Jews to the East End after the assassination of the Tsar of Russia in 1881 which had resulted in pogroms (organised massacres) across northern Europe. Brick Lane was the heart of the “shtetl” and this was the principal synagogue of the area, open from dawn till dusk. 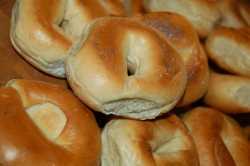 From the 1960s, the Jewish community dwindled, many moving to areas of north London such as Golders Green and Hendon (known as the “bagel belt”). The building closed for a short while before its next incarnation. In 1656, a small group of Jewish people worked hard to earn the right to live in England, and eventually Oliver Cromwell allowed them to live and worship freely within the state. From that time, this small group became a large community that has spread across the nation. This museum celebrates the success and integration of the Jewish people in Britain and illustrates the way that it occurred. is a long-established community, founded in 1948, and srving the Jewish population of Southgate, Cockfosters and Hadley Wood – with over 1100 members and covering an area almost 5 miles across.Our synagogue in Old Farm Avenue, Southgate, is backed up by Minyanim held regularly in Cockfosters and now also in Hadley Wood. Unlike most communities in London we have been successful in maintaining the membership numbers and this is very much due to the enthusiasm and hard work of all the numerous groups and committees that look after the varied needs and interests of the community. Affectionately known as Kinloss, we are a vibrant, warm and friendly Orthodox community, inclusive of all Jews and proud of the State of Israel. Our synagogue is a haven for inspiring and enjoyable Synagogue Services, a breathtaking range of creative educational, cultural and social programmes and personal support for the whole family. Our community is an inclusive and welcoming Liberal synagogue. We greet everyone who walks through our doors with the extended hand of friendship and the opportunity to experience real, living community. We welcome all people seeking to live Jewish lives, regardless of gender or sexual orientation and partners of whatever religion are made to feel at home. We value meaningful worship, inspiring educational opportunities and a commitment to social action.Liberal Judaism is the dynamic, cutting edge of modern Judaism. Liberal Judaism reverences Jewish tradition, and seeks to preserve the values of the Judaism of the past while giving them contemporary force. It aspires to a Judaism that is always an active force for good in the lives of Jewish individuals, families and communities today, and equally makes its contribution to the betterment of society. 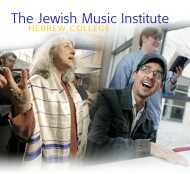 Liberal Judaism is the Judaism of the past in the process of becoming the Judaism of the future. the "Tree of Life" congregation, is a lively, friendly and caring community. We are committed to celebrating Jewish traditions and beliefs in a way that is meaningful and relevant to modern life. Our ethos is based on: * innovation, * informality, * inclusivity. We welcome all individuals, regardless of their Jewish background or circumstances, and encourage members to play a full role in the in the religious and communal life of the synagogue. This includes anything from leading services, helping community members at times of difficulty, fundraising for charities to taking part in a wide range of social and educational events for all ages. There’s bound to be something you will find rewarding and fulfilling at FRS. 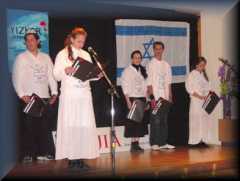 FRS is a member of the Movement for Reform Judaism and participates in many of its activities. We are also active in the wider community, with strong links to other faith communities. Born in Highbridge in 1884, Major Frank Foley was an MI6 agent who used his cover as a passport control officer at the British Embassy in Berlin during the 1930s to provide the necessary papers for Jewish people to leave Nazi Germany for sanctuary. A deeply religious Catholic who frequently risked his own life by venturing into concentration camps to help free Jewish internees, he also assisted them to obtain forged passports and even hid them in his own home until they were able to leave Germany. His selfless bravery saved the lives of thousands, maybe tens of thousands, of Jewish people - many of who remained in ignorance of their unassuming benefactor's identity. in Hampstead, Sigmund Freud’s last residence prior to his death in September, 1939. Forced to flee Vienna with his family after the Nazis had arrested his daughter Anna for questioning, Freud was able to emigrate with all his possessions, including his famous analysand couch and over 3,000 ancient Greek, Roman, Egyptian and Chinese figurines, all of which are now displayed in the museum. Since 1994 this collection has been in place and offers an interesting and informative library, resource centre and museum for those who are interested in learning more about Jewish lives in Central Europe. Obviously there are the notable atrocities committed by the Nazi’s in the 1940s, but beyond that, this collection helps visitors to see a broader picture about how the lives of these people changed. the sometime country residence of Alfred de Rothschild and present Officers' Mess for RAF Halton.In July of 1883 the house was finished, although it was not formally opened until 15th January 1884. Another Rothschild home was Tring Park which now houses The Arts Educational School. Hampstead Synagogue is housed in a beautiful yet extremely moody dark building on the edge of West Hampstead. Constructed in 1892 the building is a s beautiful on the inside as it is on the outside. The synagogue is the central place of worship for the majority of the Jewish community based in the area and is as well as a place of religion a meeting place and a venue from which to coordinate community events. It uses historical material to document the Nazis persecution of the Jews prior to and during World War II. The display brings to this country for the first time rare and important objects from former concentration camp museums in Germany, Poland and the Ukraine, including a funeral cart from the Warsaw Ghetto, a deportation rail car donated by the Belgian government railways, and a wagon heaved by slave laborers. Toys, diaries, mementoes, and filmed testimonies from 18 survivors help to illuminate one of the most tragic events in history, thus making for a profoundly moving exhibition. Chabad Islington in London serves a community primarily comprising of young families and professionals. We host Shabbat and holiday services and celebrations, and teach various classes. Tourists are welcome! 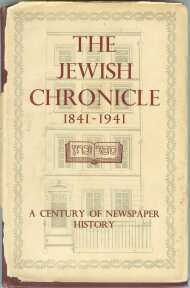 The world's oldest and most influential Jewish newspaper, the London-based Jewish Chronicle has a 164-year history of editorial independence. 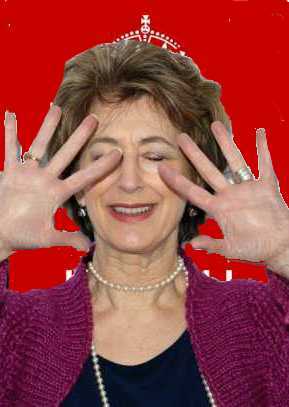 Its news and opinion pages reflect the entire spectrum of Jewish religious, social and political thought from left to right, Orthodox to secular while its arts and lifestyle coverage includes film, theatre, travel, cookery and youth & singles events. 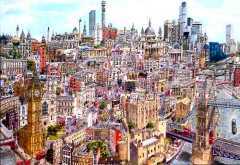 Description: The Jewish Genealogical Society of Great Britain, JGSGB are an important link for anyone wanting to research Anglo-Jewish family history, as well as more general research. 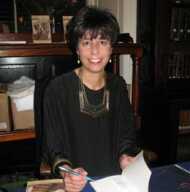 Description: The Jewish Historical Society of England is England’s oldest Jewish learned society founded in 1896 and conducts research into all aspects of Anglo-Jewish history. Today, happily, Jewish life and heritage, is enjoying a Renaissance of a sorts in London, and thanks to events such as Jewish Heritage Day (held annually the first week in September), Jews from all over the world are invited to explore the city’s Jewish sites and landmarks, of which there are many. This museum is run by the Association of Jewish Ex-Servicemen and Women and was established to commemorate the brave contribution that British Jews have made to the Armed Forces over two centuries. There are well over a thousand artefacts and documents on display consisting of memorabilia, books, personal artefacts of soldiers, uniforms and medals. The Jewish Book of Honour is housed in the museum that complies a role of honour of more than 60,000 names who have served since World War II. in Camden Town has a history gallery that traces the community’s story from the Norman Conquest. On view are the oldest English Hanukkah lamp, a medieval tax receipt consisting of notched wooden tallies to show the amount received, as well as Jewish bronze coins from 103 to 76 B.C. The museum also has a late 13th century charter in Latin noting a small land grant forbidding its transfer to monks or Jews and small porcelain figurines of early 19th century professions such as a moneychanger. The collection’s finest ritual object is an elaborately carved 16th century Venetian Ark, found in 1932 in Chillingham Castle, Northumbria, where it was being used as a servant’s wardrobe. Opening hours: Monday - Thursday 10am-4pm, Sundays 10am-5pm (Last admission to the galleries half an hour before closing) Closed Fridays, Saturdays and Jewish Festivals. In 1995 the Jewish Museum relocated to an elegant, early Victorian listed building in the vibrant neighbourhood of Camden Town. In the same year it amalgamated, on a two-site basis, with the former London Museum of Jewish Life, in Finchley, North London (now The Jewish Museum - Finchley).The London Museum of Jewish Life was founded in 1983 as the Museum of the Jewish East End, with the aim of rescuing and preserving the disappearing heritage of London's East End - the heartland of Jewish settlement in Britain. While the East End has remained an important focus, the Museum expanded to reflect the diverse roots and social history of Jewish people across London. It also developed an acclaimed programme of Holocaust and anti-racist education. Closed Friday, Saturday, Jewish Festivals, Public Holidays, 24 December - 4 January. The Museum is also closed on Sundays in August and Bank Holiday weekends. The London Hebrew Soup Kitchen or Jews’ Soup Kitchen began in Leman Street in 1854. It was later to be found in Black Horse Yard, Aldgate, then to No. 5 Fashion Street and in 1903 to Brune Street. In its hayday it catered for over 1500 people When we first wrote this description it was derelict but in recent years the guts of the building have been converted to expensive flats for the city workers. All that remains is the facade. A centre of Jewish learning, the community came a cropper when it meddled in medieval politics and was subsequently subjected to a blood libel and brutal massacre in which 57 of its members were killed. Are the ghostly goings-on in the cellar of a shop on the High Street, the spirits of members of the medieval Jewish community coming to pray in the ruins of Guildford's 12th century sunken synagogue? 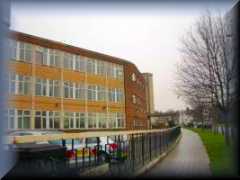 Originally in Ramsgate the Judith Lady Montefiore College was re-opened in London in 2005 as a centre for higher Torah education, with Rabbi Dr. Abraham Levy as its Honorary Principal, and is registered with the Department for Education and Skills. It occupies premises attached to the Spanish and Portuguese Jews' synagogue at Lauderdale Road, Maida Vale, London W9.In January 2006, the College opened its part-time Semicha Programme to train future rabbis for the Anglo-Jewish community as a whole. The Kindertransport (also Refugee Children Movement or RCM) was a rescue mission that took place during the nine months prior to the outbreak of the Second World War. 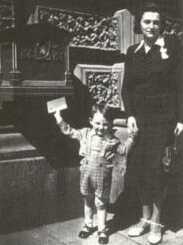 The United Kingdom took in nearly 10,000 predominantly Jewish children from Nazi Germany, Austria, Czechoslovakia, Poland, and the Free City of Danzig. The children were placed in British foster homes, hostels, and farms. Most of the rescued children survived the war. A small number were reunited with parents who had either spent the war in hiding or survived the Nazi camps, but the majority, after the war, found their parents had been killed. 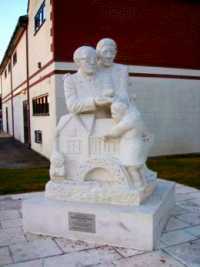 The Memorial by Frank Meisler was erected in 2011 . At The Liberal Jewish Synagogue, known as the LJS, we combine respect for our Jewish heritage with positive acceptance of modern knowledge and an emphasis on leading ethical lives. Members of both sexes play full and equal roles in every aspect of the congregation's religious, social and educational organisation. 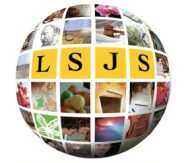 The LJS abides by the Affirmations of Liberal Judaism and is the founding member of Liberal Judaism (formerly The Union of Liberal and Progressive Synagogues). 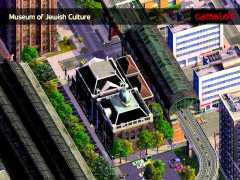 The newly opened London Jewish Cultural Centre offers Jewish Culture in all its diversity. 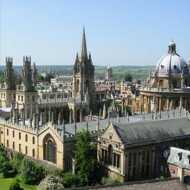 It includes 50 courses a term in history, culture, film, art, literature, music, Hebrew and Yiddish. It regularly puts on films, lectures, performances, exhibitions and debates. We also have a schools programme where we facilitiate a number of classes for sixth formers in and around London. The subjects covered include Jewish history, refuge and asylum: the Jewish experience, the history of racism and the Arab-Israeli conflict. Join over 500 people every week at the centre of modern orthodox Jewish learning in Britain. Book online for our 2007-8 courses. 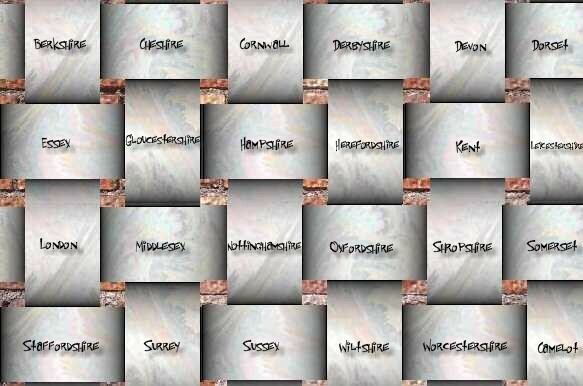 Description: The Manchester Jewish Museum and its web-site is an important resource for all aspects of Manchester Jewish history and heritage. Manchester Jewish Museum is located in the premises of the former Spanish and Portuguese Synagogue on Cheetham Hill Road. 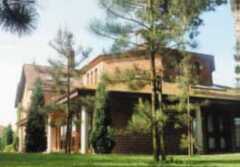 The building, completed in 1874, is a listed building of historical importance. 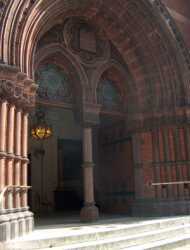 It is, indeed, a beautiful example of Victorian architecture, executed in Moorish style. 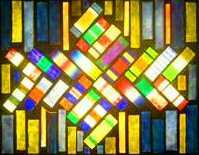 Particularly noteworthy are the splendid stained glass windows and the distinctive cast-iron fitments. Since the building became redundant through the movement of the Jewish population away from the area, it has been completely restored, returned to its former glory and listed Grade II*. This synagogue is hidden away in a back street not far from Marble Arch and Oxford Street at the heart of London’s west end. The building is really just a converted house that inside has been turned into a small Jewish place of worship. It is home to a lively and busy spiritual community who use the place or private and public prayer as well as a social centre for the community. was built in 1855 for Baron Meyer Amschel de Rothschild who needed a house close to London and in close proximity to other Rothschild homes at Tring in Hertfordshire, Ascott, Aston Clinton and later Waddesdon Manor and Halton House..He commissioned Sir Joseph Paxton and his future son-in-law G H Stokes to design the house. Although Paxton was not a trained architect he was a great favourite of the Rothschild family who were probably impressed by the Crystal Palace he built for the Great Exhibition of 1851 and his work at Chatsworth.Paxton designed a vast building in Elizabethan style with great windows and a turreted roofline. The grand romantic mansion was a reflection of the immense wealth and power of the Rothchilds during the Victorian era.At the end of the 19th century Mentmore Towers passed into the hands of Lord Rosebery. At that time the house contained a superb collection of fine furniture and works of art. Lord Rosebery made the house a magnificent centre of social life for the rich and influential.In the 1970s the contents of the house were put up for sale. Although there was a public outcry at the possible loss to the nation of many important items, the auction went ahead and raised over �6,000,000.The house was sold later to the Maharishi Mahesh Yogi and is now the headquarters of his University of Natural Law.Currently it is being redeveloped as a hotel and golf course.At the present time the house is not open to the public. In the Victorian era, English gentlemen of standing usually possessed country estates, which often included a chapel. Moses Montefiore was no exception; and in 1831 he bought a mansion with twenty-four acres of land on the East Cliff of the then fashionable seaside town of Ramsgate. The house had previously served as a country residence for Queen Caroline, when still Princess of Wales, and had passed into the possession of the Marquis of Wellesley, brother of the Duke of Wellington. It is widely accepted that there is insufficient recognition of the men and women of our Armed Forces who have given their lives in the service of their country since the end of the Second World War.Following a period of extensive consultation with the Services and ex-Services community it was concluded that a new national memorial should be constructed – to be known as the Armed Forces Memorial.The Armed Forces Memorial will not be a traditional ‘war memorial’ that only remembers those killed in conflict. It will also recognise the many servicemen and women who have given their lives while on duty and those killed by terrorist action. 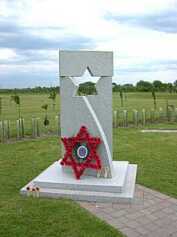 The Memorial will also help to raise awareness of the invaluable contribution made by the Armed Forces throughout the world.The Memorial will be located at the National Memorial Arboretum in Staffordshire where there are already a number of Service-related memorials including a memorial to all those Jews who served and fell in the service of the Crown. The memorial is the culmination of three years of dedicated work led by Ron and Lionel Singer of Birmingham Branch of AJEX , who together with the sculptor Harry Seager are praised for their efforts. The New West End Synagogue is among the most beautiful and historic buildings of Jewish interest in England and visitors are most welcome to view the magnificence of our Grade 1 Listed Building. (Click here for photographs of the interior).Our Central London location is very convenient for tourists visiting London, who are assured of a warm welcome to all our services and events. The Foundation Stone of the New West End Synagogue was laid on June 7th. 1877 by Mr. Leopold de Rothschild in the presence of the Chief Rabbi, Dr. Nathan Marcus Adler, and the building was formally opened on March 30th. 1879.